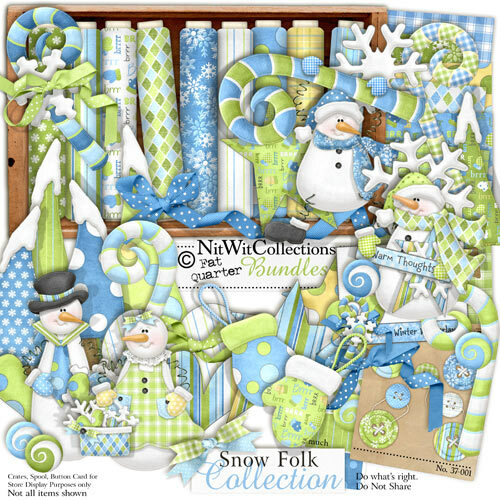 My "Snow Folk" Collection is yet another in this series! Oooh but I love this time of year.... especially the snow! and since it's always hard for me to build a snowman in the yard that my little furry friends don't knock over in seconds I figured I'd "build" myself some safely on my computer! hahaha Yup these delightful little frozen folk are sure to brighten up all your blustery cards and scrapbook pages! Hope they make you smile as they did me! Oooh bring on that snow!